Beyond providing hippo therapy and therapeutic swimming lessons for people with disabilities, the founders of Las Campanas Compadres, Suzanna and Lawrence Becerra, have expanded their benevolent thinking and intentional actions to find spots on the workforce for LCC’s young adult participants. In an additional effort to provide successful experiences that build self-esteem, the Becerras have creatively applied their networking abilities to mutually benefit program participants and those that hire them. By discovering positions available in their Las Campanas community and matching young adult LCC students seeking employment, they wish to provide opportunities to foster responsibility and promote productivity in LCC’s young adults. 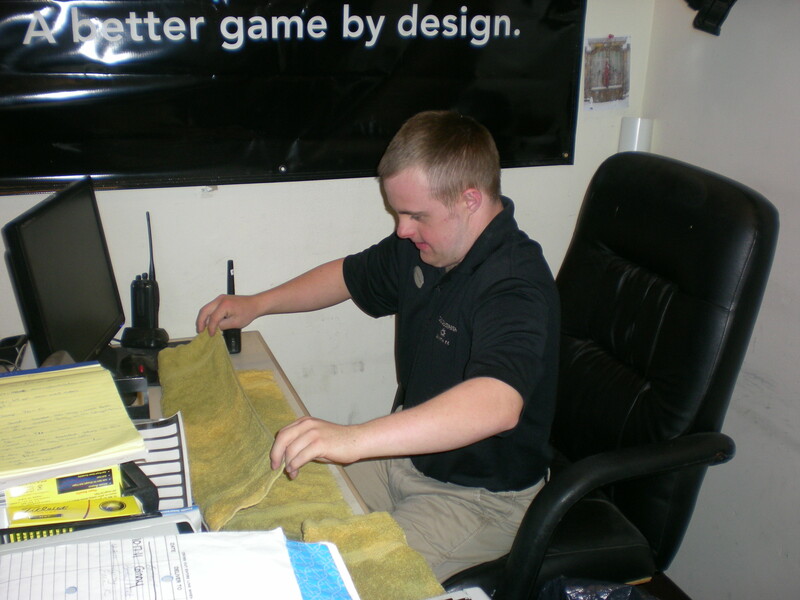 Lawrence and Suzanna spoke with Jason Epstein at the “The Club at Las Campanas” golf course about the possibility of Christian working there this summer. Jason was very open to the idea of having Christian work there. Mr. Epstein contacted Christian, set up an interview, and hired Christian for the position. The Directors of Las Campanas Compadres searched for a riding instructor and have announced wonderful news!!! Karen Evans brings to the LCC riding program a tremendous amount of education in the field of horsemanship, dressage, and equine-assisted therapies. Karen earned an advanced level of certification by NARHA (North American Riding for the Handicapped Association) for working with people with physical and cognitive disabilities. Most recently, Karen has shared her expertise with HorsePlay New Mexico in Corrales, Santa Fe Equestars, and Spirit Horse Therapeutic Riding Program in Shiprock, New Mexico. 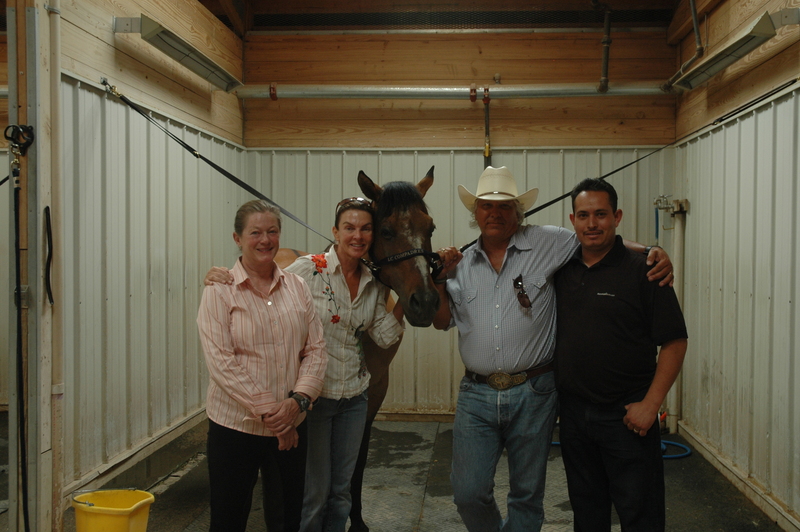 During the seven years of directorship of Cadence Therapeutic Riding in Durango, Colorado, Karen maintained the highest rating (“Premier Operating Center”) awarded by NARHA. Karen’s years of experience designing and implementing programs and then directing New Mexico and Colorado therapeutic riding programs will most certainly make her an outstanding LCC riding instructor. She is familiar and skillful with the nuances and many facets of running a successful program that provides therapeutic riding for people with disabilities of all ages. LCC’s riding program resumes with renewed vigor and much anticipation on Monday, June 18th. Your newest “Compadres” and their families heartily welcome you, Karen! Las Campanas Compadres Welcomes Karen Evans, Riding Instructor! The LCC Riding Program Resumes on June 18th!